Our War Hawk Rocket Pack is one of our best sellers and most exciting from our collection of fireworks for sale. The rocket fireworks pack comes in a set of five and is the best value we have at under £5 per rocket. 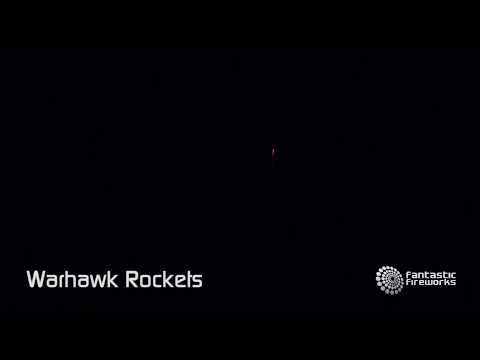 Each rocket firework produces unique effects and huge bursts with a loud bang. These rockets are of the high quality that you would expect from the team at Fantastic Fireworks. Plus, each of these rockets uses a single ignition fuse. When looking for rockets fireworks for sale, you need not look further. Furthermore, we offer rocket fireworks delivery all year round, so whenever you buy fireworks, we can deliver straight to your door.